United Kingdom based scholar Dr. Brilliant Mhlanga has come out gunz blazing against civic society leader Dumisani Nyongolo Nkomo over the meeting that the later had with President Emmerson Mnangagwa last week. Mhlanga equated Nkomo (who is related to the late Vice President Joshua Nkomo) to Abel Muzorewa who sold out during the liberation struggle. During the meeting Mnangagwa committed to supporting victims of Gukurahundi genocide through relevant ministries. Dumisani Nyongolo Nkomo met Mnangagwa as who, with what mandate wena? Who elected you to go there and meet a murderer of our people and pretend to be representing me and many others from Matebeleland? Uthunywe ngubani mfana kaNkomo? That you WORK for an organisation that receives DONOR money and eating from that trough shouldn't be mistaken for being a representative of the people. It's just a source of your livelihood, it's a business don't mistake your business for something that it is not. I realise you even have the guts to attempt to justify your lot's actions by placing your names alongside those of represectable Chiefs - oKhayisa, Maduna and others. Those are our traditional Chiefs and custodians of our tradition. The same Chiefs that Mnangagwa is abusing, harassing and refusing to recognise. Lest we forget, the same Mnangagwa and his government has refused to acknowledge our efforts to revive the Monarchy. He has refused to recognise such respectable efforts. Have you ever asked yourselves; who benefits in all this? While to your Donors and Funders your ‘Collective' Naivety might pass for ‘advocacy', to the real people, the masses from Matebeleland, it should be called by what it is - a bunch of empty heads who are mere mercenaries and driven by the desire to make more money out of the suffering people from Matebeleland. It makes your and your entire Lot, the Lords of Poverty. You need to read around Dumisani, you will realise that history is replete with examples of characters like yourselves. And it has a tendency of reflecting and repeating itself. Even during Ian Smith's time when others were fighting a genuine struggle, Bishop Abel Muzorewa and a bunch of Civil Servants did exactly what you have just done - by meeting the Ian Smith government. It's so sad and definitely not ‘funny' that you guys don't learn. Even worse, you can not read the signs of change right before your ugly faces. 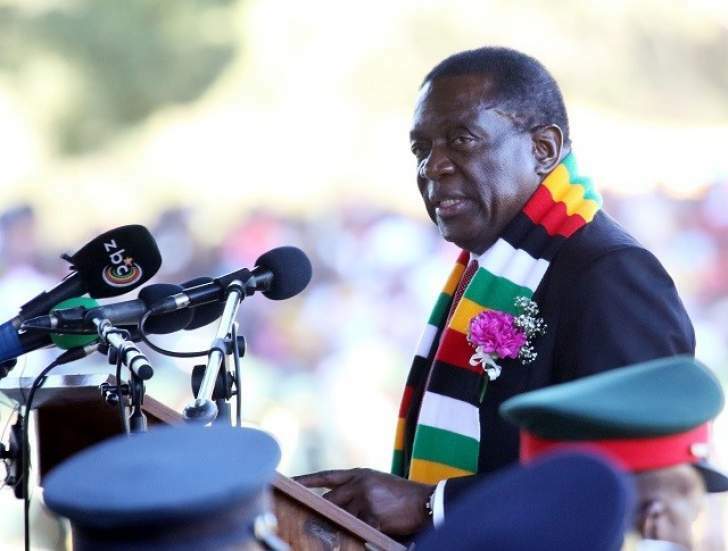 You can not even realise that Mnangagwa has no allies and he is like a fish that's grappling for oxygen in a pond, becoz the same international community that had earlier accepted him has dumped him. So what does that make characters like you? Surely, someone lied to you? This nonsense of self-appointments by you characters who lack principles is not only disgusting but disheartening. Just by reading your response, I am left wondering whether you really understand geopolitics or you are just a bunch of local clueless mercenaries who are just masquerading as representatives of the people even without clear depth of the complexities surrounding these issues. In case your collective lot didn't know, the Zimbabwean issue is far much more complex than everything you guys carried in your empty unprincipled heads. Also in case you didn't know, Mnangagwa knew everything you guys pretended to talk to him about. He knows about Devolution and he was opposed to it from day one. Remember he has been ZANU PF's key architect for 40years. That also explains why Mnangagwa saw it fit to quickly grab the opportunity and even hire a Jet for US$200,000 from Dubai, just to come and listen to you repeating things he already knew. It would appear you guys were made to confirm & narrate things that he has been doing to our people for all these years. Telling your Master what he has been doing to you as slaves, which things he already knows, in your bid to negotiate for your freedom or betterment of your conditions of enslavement makes the Collective of Slaves stupid! Like a bunch of school kids you were made to recite a poem that your teacher wrote all the years for you. How silly! Even more, Dumisani, you seem to have a naive understanding of the role of a civil society in a bastardised environment like yours. Your situation is clearly politically warped and jaundiced - but of course, I don't expect you to understand it. But it's sad that your lack of understanding of your circumstances as subjects that are reeling under the yoke of Military Rule has caused you to make such blunders. I suppose that explains why you boastfully want us to believe that Jenni Williams' useless demonstration was a success. The same Jenni Williams who was boasting that Mnangagwa actually gave her his direct number and that she now has a direct line to State House! Yet not realising that for Mnangagwa and his lot they are way beyond you guys. To them it is about power, which they have grabbed and are keeping using the Military. The second issue to them is gaining political legitimacy, which you have given to him, when even his people are denying him. It's also sad that you think a compendium that you have will justify and harness your points in this discussion. This is not a debate Dumisani. This is a discussion. I can not debate with you. The very starting point is wrong, putting in the same post names of respectable iziNduna oChief Khayisa, Chief Maduna, others. To even argue that they too have been talking about the same things is to miss the point. It appears you need to be reminded that those are our traditional Chiefs and you are not anything under the sun. Or maybe you are now a ‘Donor Chief'? Those Chiefs are the custodians of our traditional structure that Mnangagwa and his lot are undermining by meeting you so called ‘Matebeleland Collective' of unrepresentative characters. I repeat, you are not a Chief Dumisani, in case you did not realise that. You were not even elected. I think the time has come for the people from Matebeleland, in particular, progressives to take stock of these issues. Our people need to know the truth that the people who actually organised that meeting for you guys and Mnangagwa are in fact already funded by ZANU PF. Which makes you beneficiaries of ZANU PF by extension. So now you are double dippers yet pretending to represent the interests of the people, which people you never even consulted. That explains why you don't realise that the key issue is meeting the murderer of our people and later pretending to be giving him our demands! It's so funny that you think going to meet Mnangagwa to pretend to be telling him about Devolution makes you a progressive Dumisani, when Mnangagwa is fully aware of the things he has done to the the people of Chiadzwa and Matebeleland. Even worse, it appears you don't even have a clue how Devolution works, in particular that it won't work under any form of Military Rule. Shame on you lot!